Did you know that 85% of customers use the internet to find a local business? Unless you have more customers than you can handle and cater for, you do need to have a website. These days building a business website or e-commerce store is more straightforward than ever: it doesn’t cost much money, you don’t need to know how to design or code, your online store isn’t limited to business hours, and it is among the most significant means of free advertising. With SEO, SEM, SMM and other digital marketing strategies, it is very much possible for small companies to rank higher and compete with large companies. Consumer behavior changes over time to adapt to modern technologies, and customer behavior has evolved to adapt to the digital era. The number of customers that go on the internet to find a local business has jumped to 97%. If you want them to choose your business, you need to get found online, which means you need a website.The very first reason why small businesses require a website, even if your company has five employees or less, is because that is where so many of your potential customers are for so much of their time. 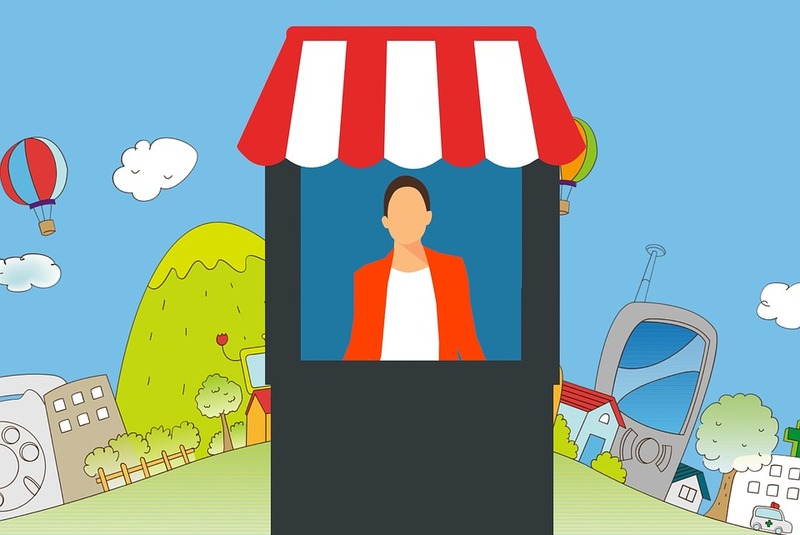 Here are 4 inescapable reasons why your local business needs A website to survive today! You might have experienced having to turn customers away because it’s closing time? Well, you don’t need to shut the doors of your website. An online website can be visited at any time of the night or day. People might visit your website rather than visiting the store since it’s more accessible to them. While the majority of us are sleeping, some night owls are on the lookout for exciting products or services, and if they find whatever they’re looking for, chances are, they’ll purchase right away. Many potential customers are researching their next buy during this time. This can bring tremendous opportunity for local businesses that are closed in the night time. One of the advantages of having a website for small businesses is to be where your customers are. Customers are more likely to contact you if you have a website. There is a reason so many companies invest in a website with search engine optimization. 97% of people go on the internet to find a local business. Believe it or not, there are 3.5 billion searches on Google daily, and at this very moment, there’s a person in your area online and searching for your exact service. Guess who’s getting their business? Not you. It is more common for companies to own websites than it’s not to. As a result of this, customers are usually turned off by businesses that don’t have an internet presence. This is one of the prominent reasons why small businesses must have their websites. A website not just puts the business out there but also makes itself known. Because modern customers expect it, it immediately gives the company credibility. Owning a website can put you in a position to do business globally and will enable you to reach a bigger market and ultimately more customers. In today’s World, there are almost no limitations. It’s possible to enter markets and customers which you wouldn’t imagine before. This is why you and your Business requires a website. It’s your ticket to an entirely different level. Sky’s the limit if you place the right strategies behind your business website. Having a website will draw new customers to your business and give you more money. Competition is fiercely digital nowadays. This is a significant reason why small businesses need websites. The ones that don’t have a site can’t compete with the companies that do. It’s true that you can’t compete with big companies, but people don’t always consider this, and with a well-designed website, that has the right approach behind it, you can and will blend with the big guys. Your site can answer questions that large companies’ website does not since they’ve grown too big to understand that. Studies have proven that after a customer has an idea of what they want, they start researching and sifting through various websites, products, and services. So if you don’t catch their attention and attract them through your website, your competitors will. : benefits of a website for small business, seo services in navi mumbai, Why do businesses need a website?, Why do small businesses need a website?, Why Your Local Business Needs A Website To Survive Today?